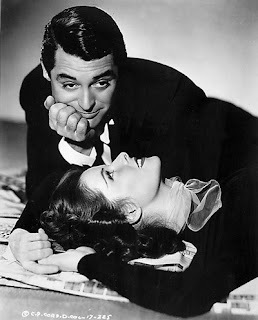 Last night I inhaled the scent of Cary Grant. It was delightful. His cologne, I mean. № 89 from Floris, the British perfume house, which has been perfuming the great and good and best-not-to-say since 1730. My friend Richard entered the shop--in 89 Jermyn Street--specifically to buy Cary Grant's preferred cologne. He made inquiries about which one that might be. The woman behind the counter wasn't sure, but Floris remains a family business (nearly three centuries! amazing) so she called one of the scions to find out. He apparently wasn't sure either, so the decision was taken to "call the old man." "Orange and bergamot blended with lavender and neroli . . . warmed with a touch of spicy nutmeg, the floral heart is underscored by the dominant woody accord of sandalwood, cedarwood and vetiver in this quintessentially English gentleman’s fragrance." In the words of the lass in the Irish Spring soap ads, I like it too. And come this spring, when an eau de cologne seems the best way to scent linen and lace, quintessential English gentlemen might have some company.